5 February 2019, at 12:23p.m. 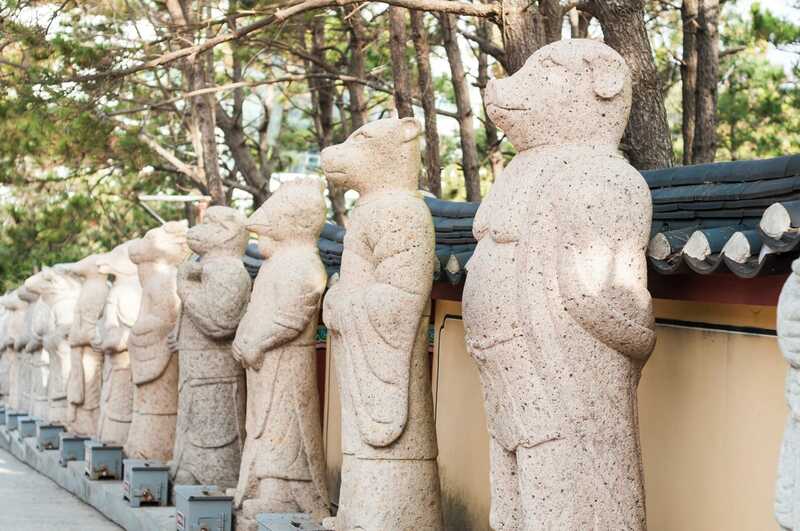 Statues of the 12 Chinese zodiacs stand proudly outside Haedong Yonggung Temple. The Year of the Pig follows the Year of the Dog and precedes the Year of the Rat. 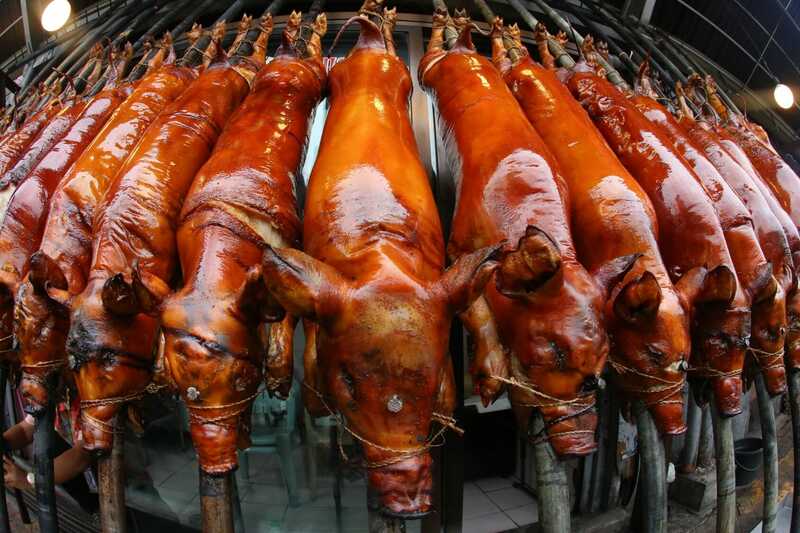 Roasted pigs are often served as part of the Chinese New Year dinner. Serving roasted pork at a Reunion dinner traditionally symbolises peace. A market selling household decorations for the new year. Red is the primary colour for decorations and the festival itself; it is considered a lucky colour. 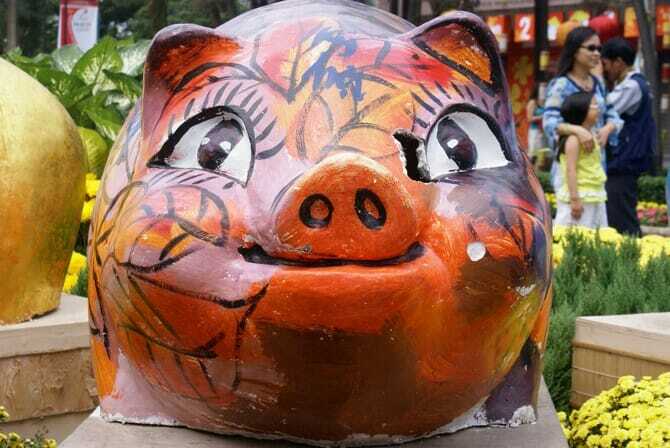 The Year of the Pig is widely celebrated across China. 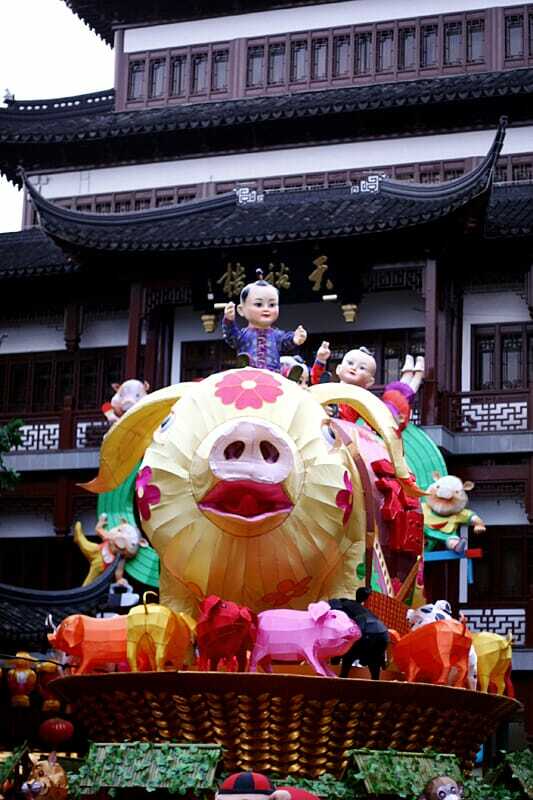 Lantern sculptures, such as this one in the Yuyuan Shopping Center, Shanghai, are huge tourist attractions. The bigger, the better! 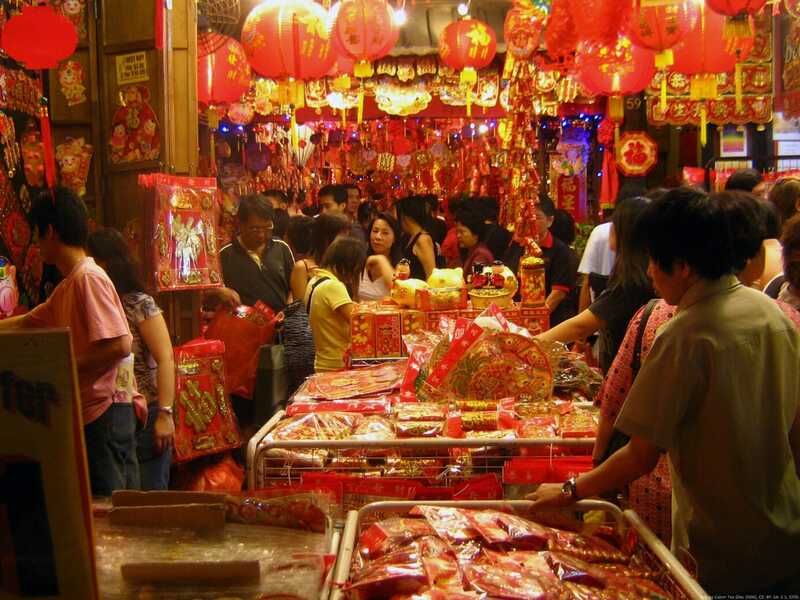 The lunar new year is celebrated in other Asian countries. In Vietnam, the celebration is called Tet. Flowers are a key part of new year decorations. They can symbolise peace, fertility, and status. 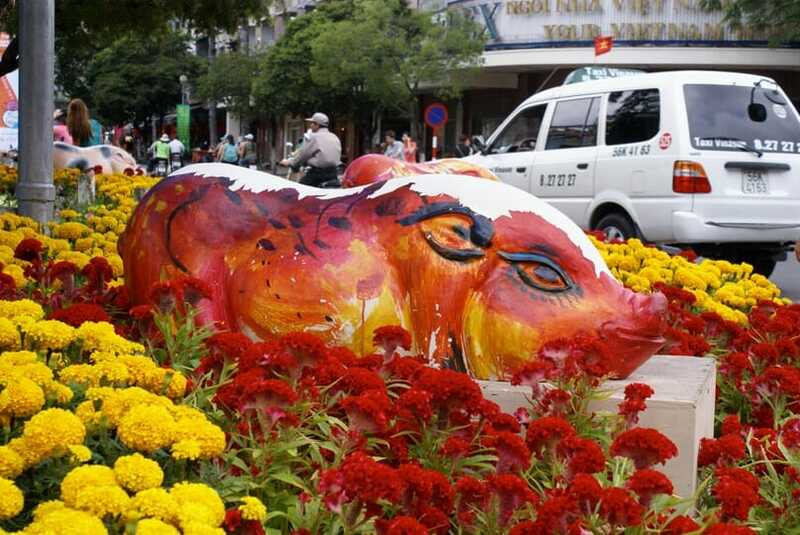 They are shown here alongside a partially completed pig statue in Vietnam. Lantern processions are often the highlight of new years' celebrations. The lanterns symbolise family reunions and our relationships in society. 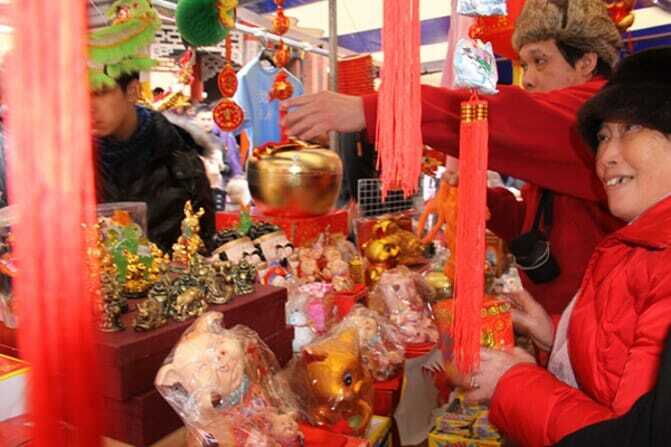 Shoppers buy decorations for lunar new year in London's Chinatown. 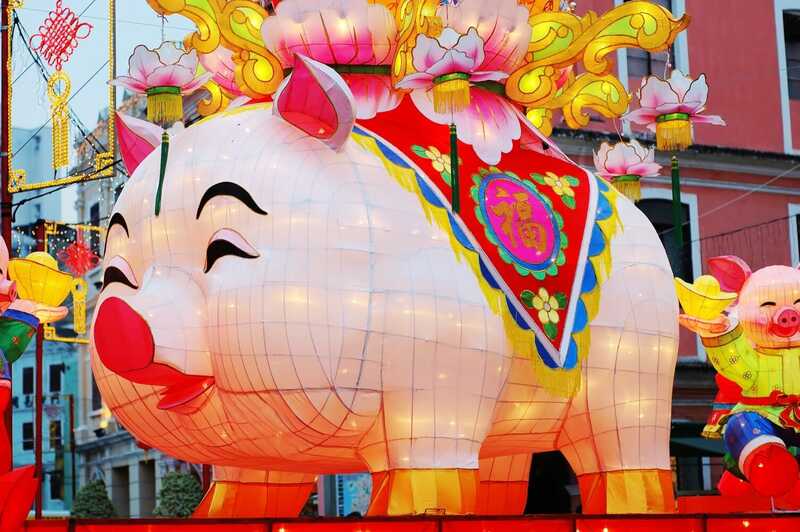 According to Visit London, the city hosts the largest Chinese New Year celebrations outside Asia. 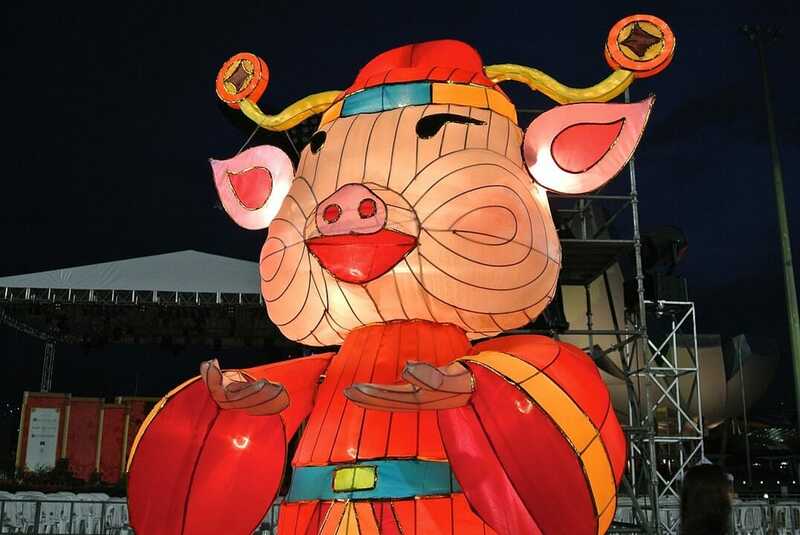 A handmade paper lantern procession through the suburbs feature a smiling pig – a symbol of wealth and prosperity. What a road hog. 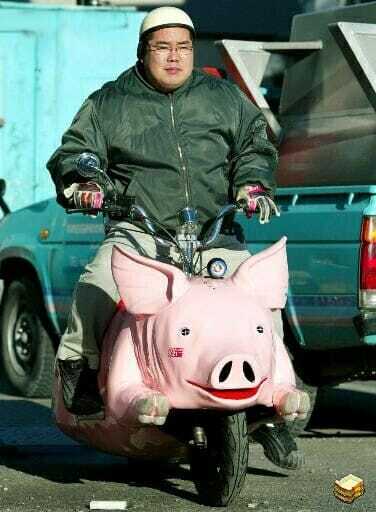 However you choose to celebrate the turning of the new year, a hog-cycle is one investment that is sure to turn heads.